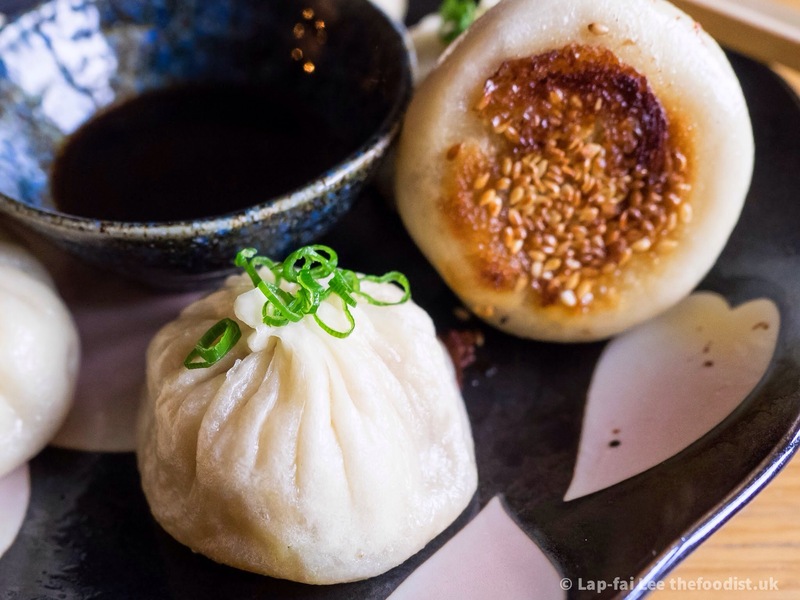 Sheng Jian Bao 生煎包 | The Foodist. 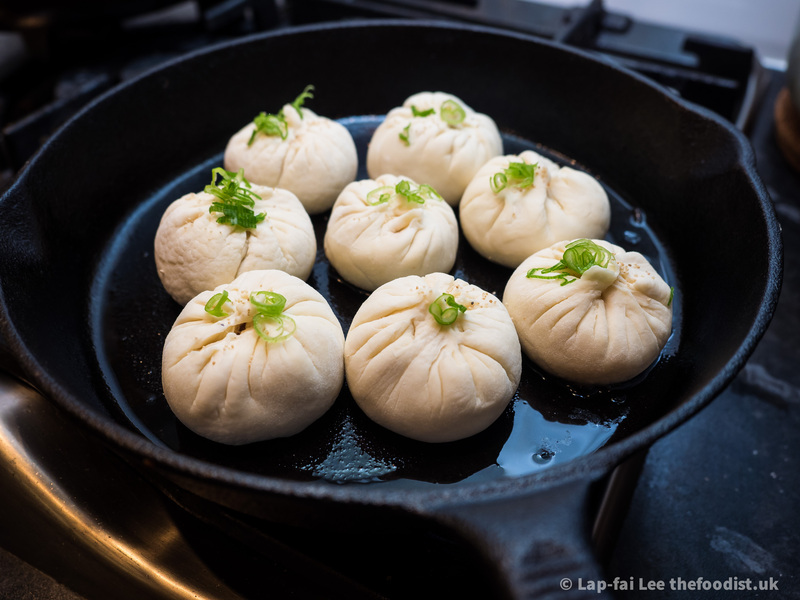 I remember the first streetfood experience we had in Taiwan were these Sheng Jian Bao. They are incredible pan fried dumplings filled with juicy pork. It set the tone really for what was an incredible eating holiday. Sheng Jian Bao are a Shanghai speciality related closely to the more famous Xiao Long Bao soup dumplings. The filling is identical, the difference is that the wrapping is a yeasted dough and they’re pan fried with a crispy bottom. Much more robust than XLB. So if you’re rubbish with chopsticks you’re less likely to burst them and lose Chineser points. Now David Chang has declared them the best dumpling ever, EVER! It seems everyone has jumped on the 生煎包 (SJB) bandwagon. I’m not immune to hitching a ride on something truly delicious, which these are but being a Foodist I’m not going to just yammer on about how ahhmaazing they are, here’s a recipe for them instead. Anyone who has made XLB before (last craze about 10 years ago) will have no problems with the filling. Just skip on to the dough part. How do you get soup into a dumpling? You could inject it after it’s cooked but the simpler more elegant way is to make a gelatine rich stock that sets at room temperature then melts again when heated. So let’s make that stock. Cover all the ingredients with water and pressure cook it for one hour or simmer them normally for 2-3 hours skimming occasionally. Strain, let cool and set it in the fridge. The chicken wings, pork skin and trotters will give enough gelatine to set the soup, alter the balance of chicken to pork to suit your own taste. Skim the fat off the top of the set jelly if you like. To make the filling mix quickly all the above with your fingers in a claw shape till it’s all brought together. 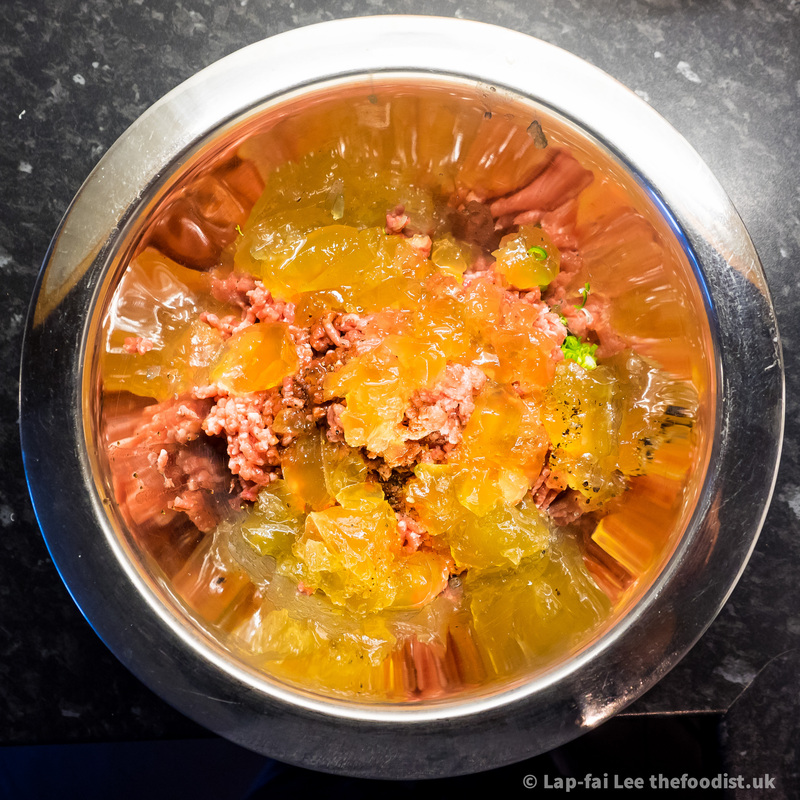 Do not overmix or the jelly will dissolve. Set aside to chill before making the dumplings. This is the difference between SJB and XLB and within the SJB kingdom there are many variations on the dough. Some are more dumpling like and others more fluffy bun like, it all depends on the type of flour you use. In this recipe I’m using high-gluten dumpling flour for a more dumpling like wrapper. You can use Hong Kong flour for lighter bao consistency if you like. Whatever you choose, it’s best to make a tangzhong (water roux) first. Heat the two up to 65C constantly stirring, till a thick paste is formed. This “starter” is used in Asian breads to give a moist tight crumb to yeasted breads. Make the dumpling dough by mixing all the above together and kneading by hand as you would any bread dough for five minutes until a smooth elastic dough is formed. It should not be too sticky, add 90g of water first before deciding if anymore is needed. Cover and let it rise for 2 hours. Knock back the dough lightly, roll it into one loaf and split lengthwise to make two long sausages. Roll these into two longer sausages, do not introduce folds into the dough now, use your fingertips to stretch the dough out. Cut the dough into portions, about 18-20g each. There should be enough dough to make 20 dumplings. Flip each piece cut side up and flatten with the palm of your hand. Using a small rolling pin roll these out into circles of dough, thinning the edges out so that when the dumplings are pleated there won’t be a big clump of dough in the middle. I’ve been a bit vague and Chinese about thinning the wrapper, what do I mean by thinning the edges? Don’t worry about this because I’m going to be even vaguer about pleating. Do you have freshly made SJB or XLB in your town or city? If you do it’s because it can support dumpling making specialists who do nothing but pleat dumplings to order all day. It takes practise and real dexterity. If you really want to learn how to centre pleat dumplings then watch these people in real life or on youtube or come to one of my dumpling making classes! You’re not going to learn by reading a blog. All I will say is as a start, flatten your mixture onto the wrapper before starting the first crimp. You want to aim for 18-20 pleats and at the end you’re almost pinching and twisting the dumpling closed with your finger nails. 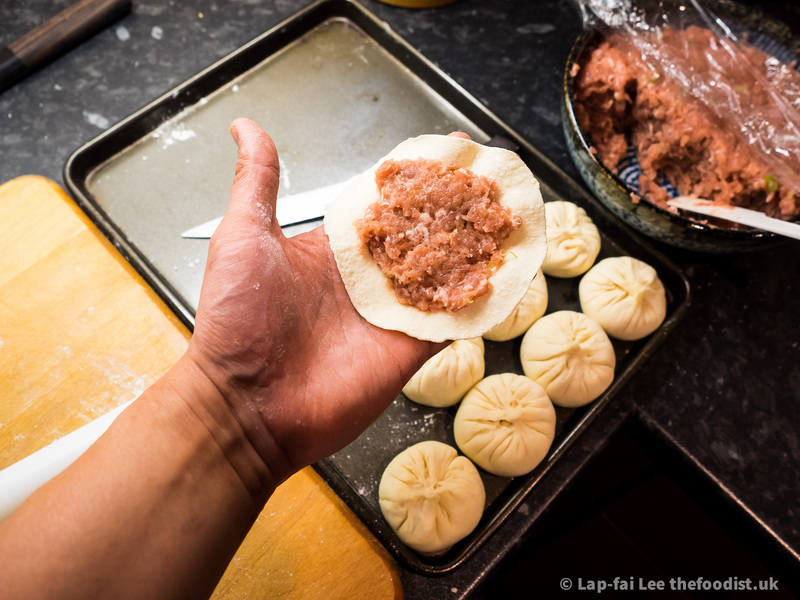 You can pinch off excess dough using your finger nails just make sure that the dumpling is fully sealed. Heat up a your best nonstick pan and fry the dumplings in a little oil over a medium heat. Sprinkle sesame and scallions on top and wait for the bottoms to become golden brown. Pour in 50ml of water and put a lid over the whole lot. Steam fry them for about 3 minutes until you hear the water has evaporated and the dumplings start to fry again. Take them out of the pan and enjoy. I don’t have to tell you that these dumplings have molten hot soup inside, that’s the whole point of them, so just be careful with that first one. Dunk it in a chilli bean sauce or classic ginger vinegar sauce to cut the richness of the pork. See why they are the hottest dumpling at the moment!